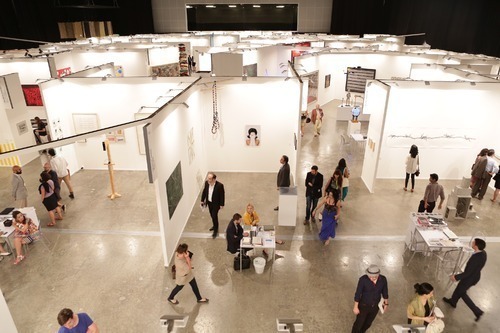 YARAT Contemporary Art Space, a non-profit organization promoting contemporary art in Azerbaijan, will attend Art Dubai International Fair, which will be held on March 19-22. Azerbaijani art will be presented at the fair by young and proclaimed artists involving Teymur Daimi, Huseyn Haqverdiyev, Ali Hasanov, Reza Hazare, Orkhan Huseynov, Aga Ousseinov, Altai Sadikhzade, and Tahir Salahov. The eighth edition of Art Dubai will be held at Madinat Jumeirah. Besides the gallery halls, the fair's extensive programme includes commissioned projects and performances, artists' and curators' residency, radio and film, an exhibition of new works by winners of the annual The Abraaj Group Art Prize and the critically acclaimed Global Art Forum. Over the last seven years, Art Dubai, the leading international art fair in the MENASA (Middle East/North Africa/South Asia), has become a cornerstone of the region's booming contemporary art community. Recognised as one of the most globalised meeting points in the art world today, Art Dubai places an emphasis on maintaining its intimate, human scale while foregrounding quality and diversity. Last year. Art Dubai welcomed 25,000 visitors-including 75 international museums groups-and hosted 75 galleries from 30 countries. Art Dubai is part of Art Week, an umbrella initiative that highlights the plethora of exhibitions, projects and events that now coincide with the fair each March, the most dynamic time in the UAE's cultural calendar. Special events include Design Days Dubai, the only fair in Asia dedicated to product and furniture design; Sikka, the fair run by Dubai Culture and Arts Authority (Dubai Culture) and dedicated to new work by UAE-based artists; and Galleries Nights, featuring 40 new exhibitions across Al Quoz and the Dubai International Financial Centre (DIFC); plus other projects, museum shows and major events throughout the Emirates, Qatar and the Gulf.